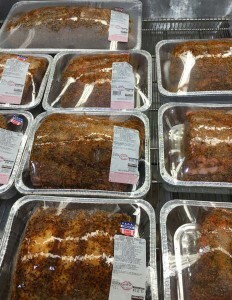 One of the hottest Christmas items at Costco every year is the Prime Rib roast. 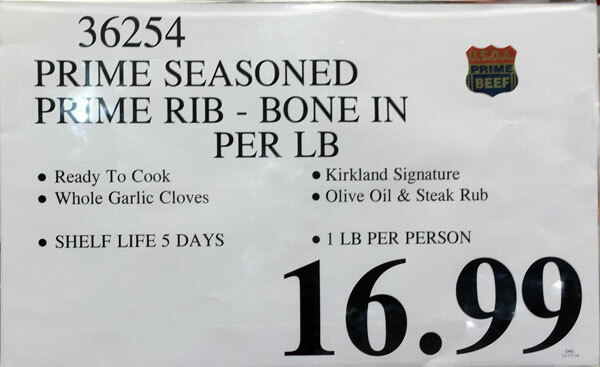 There are not a lot of stores you can buy a full bone-in prime rib and Costco is one of them. They usually go on sale about two weeks before Christmas, and the tag says the shelf life is 5 days. The weekend before Christmas is the ideal time to buy it if you plan to make a roast for Christmas Eve or Christmas day. The problem is that the prime rib is really popular at Costco, and as soon as they are put out on the shelves they tend to go quickly. You might have to wait a little while for another batch to be packaged and put out. There are two choices for the seasoned prime rib roast. There is USDA Choice and USDA Prime. The prime has a higher cost because it is the highest grade of beef, known for it’s marbling and tenderness, due to using younger cows. The prime sells for $16.99 per pound and the choice sells for $11.49 per pound. 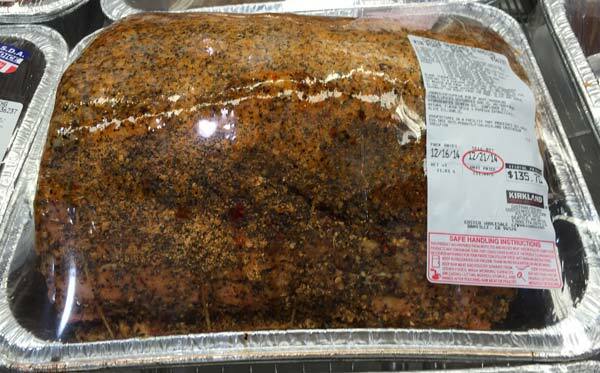 Looking back at my 2011 post on the Costco prime rib roast we can see that the Prime cut has stayed the same price while the Choice has gone up $1.50 per pound. The seasoning used is a steak rub with olive oil and the prime rib is stuffed with whole cloves of garlic. 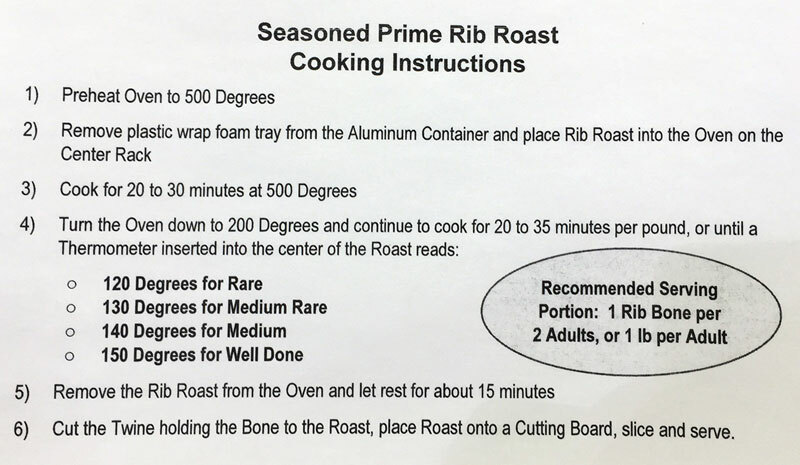 Costco suggests buying about 1 pound of prime rib per person for a dinner. The cheapest prime rib I saw for sale was around $85, which was a little under 8 pounds. If you’d like to see the cooking instructions click the image below. Also, be on the lookout for discounted prime rib right after Christmas. I’ve seen it as low as $3.99/lb as the expiration dates get close. Is your family getting a prime rib for Christmas this year?